Due to internal component failure. 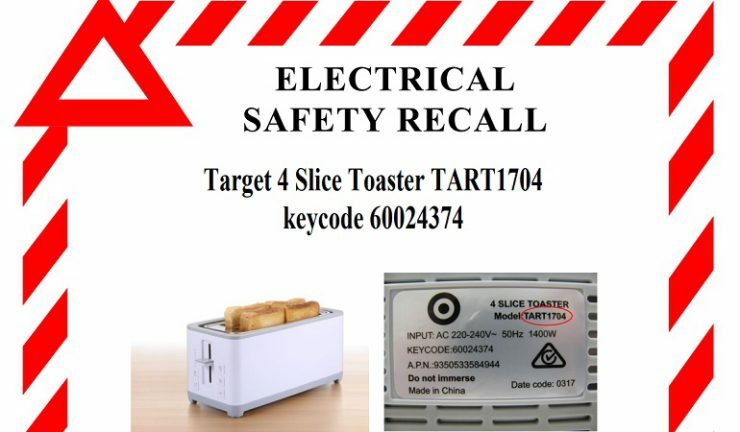 Target Australia has recalled a home brand four-slice toaster (TART1704) as it may overheat due to internal component failure, posing risk of fire or electric shock. The toaster was sold nationally between 18 May, 2017 and 20 July, 2017. Consumers should immediately stop using the product and return it to a Target or Target Country store as soon as possible for a full refund. Further information is available from the customer support centre or 1300 753 567.